What happens when the Powerball lottery goes two months without a winner? The jackpot grows to $320 million dollars. Tonight's Powerball lottery is certainly capable of changing the lives of winners - for better or worse. This is the 4th largest jackpot in Powerball history. If you choose to play, good luck. The Kensington Strangler case goes to court today. Antonio Rodriguez is charged with murdering three women, Elaine Goldberg, Nicole Piacentini and Casey Mahoney. DNA evidence linked Rodriguez to the murders and he has confessed. Rodriguez faces possible life in prison. Mitt Romney has chosen a Vice Presidential running mate in his quest for the White House. He is Congressman Paul Ryan of Wisconsin. U.S. Rep. Paul Ryan appeared with Mitt Romney this morning during a tour of the battleship USS Wisconsin. Ryan is 42 years old and the Chairman of the House Budget Committee. 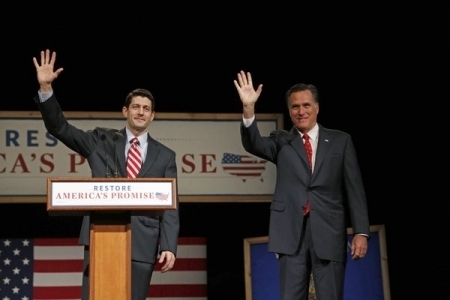 Ryan is considered to be a rising star in the Republican party. Sliced apples distributed to fast-food and grocery chains nationwide are among packaged products being recalled due to possible listeria contamination. Listeria was found on equipment used to produce apple products by Missa Bay. Packaged apple slices distributed to McDonald's and Burger King are included in the recall as are packaged food containing apples distributed to Wawa and Wegman's. Recalled products have use-by dates of July 8 through Aug. 20th. A Philadelphia Police officer has been arrested in connection with the theft of services from Comcast that cost the cable company $2.5 million. Officer John Hoesle is charged with theft, receiving stolen property, criminal conspiracy and related crimes. Police Commissioner Ramsey intends to dismiss Hoesle. Daredevil Nik Wallenda gave beachgoers in Atlantic City a spectacle today. Wallenda safely completed an unharnessed tightrope walk 100 feet above the beach. The tightrope stretched 1300 feet and thousands gathered on the beach and in boats to watch. 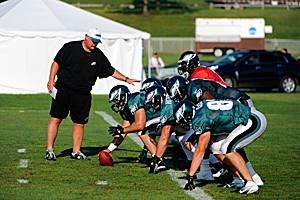 Andy Reid was back in charge at Eagles Training Camp yesterday, the day after his son, Garrett Reid's funeral. And Andy will be on the sideline tonight for the Eagles pre-season opener at Lincoln Financial Field against the Pittsburgh Steelers. The Eagles will wear Garret Reid's initials on the back of their helmets and Michael Vick has dedicated the season to Coach Reid's son. The daughter of the late Philadelphia Mayor, Frank Rizzo is under arrest along with her husband, as alleged ring-leaders in a multi-million dollar illegal sports gambling operation. Joseph and Joanna Rizzo Mastronardo and 14 others have been indicted. 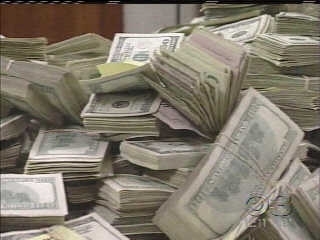 Agents found over $1 million in cash hidden in suspects' homes. 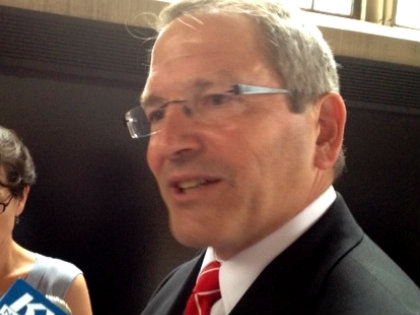 Temple University has elected a new president. He is former Indiana University Senior Vice President and Chief Financial Officer, Neil Theobald. Theobald is Temple's 10th president and will take over on January 1st. In addition to overseeing multi-billion dollar budgets, Theobald has a Ph.D. in education and has classroom experience as a professor.